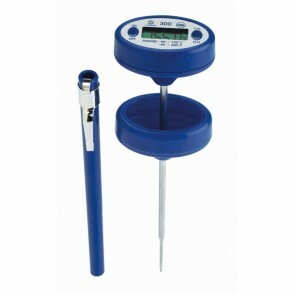 Instruments for situations where accuracy, reliablity and robust build quality are essential. 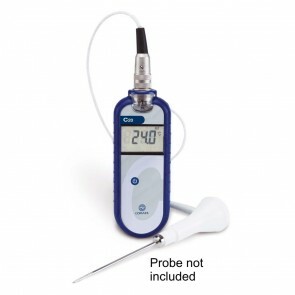 Generally they are designed to measure the temperature of liquids and semi-solids, however many have the option of interchangeable probes to allow the instruments to be used for a variety of applications. 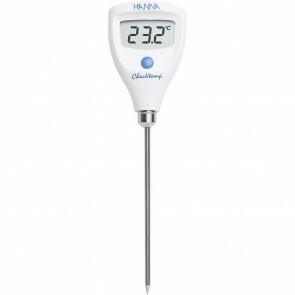 We offer a carefully selected range of range digital thermometers, ideal for caterers, from leading manufacturers such as Brannan, Comark, Hanna and TME. 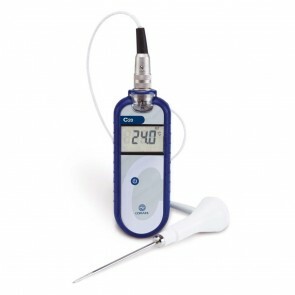 Our thermometers range from low-cost, entry level instruments to heavy duty thermometers designed for situations where accuracy, reliability and robust build quality are essentia. 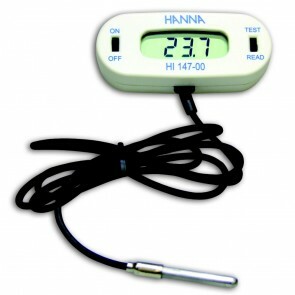 Many offer features such as waterproof casings, calibration checking and high and low temperature displays. 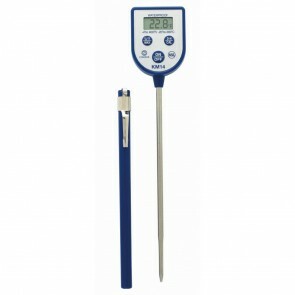 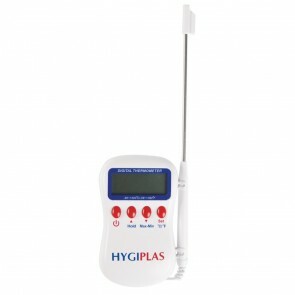 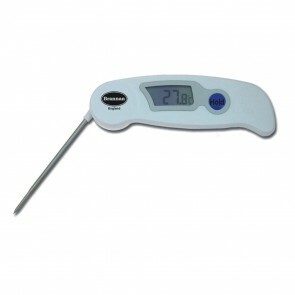 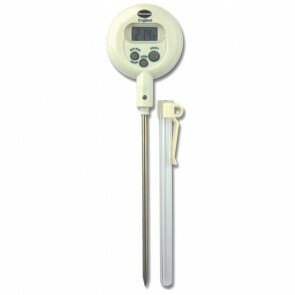 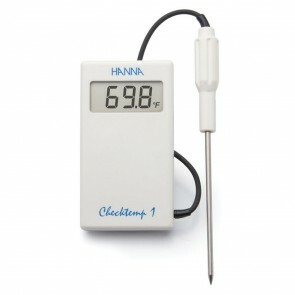 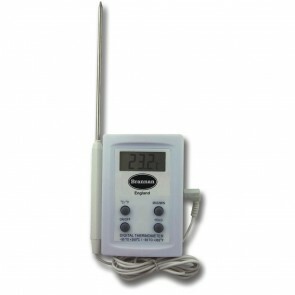 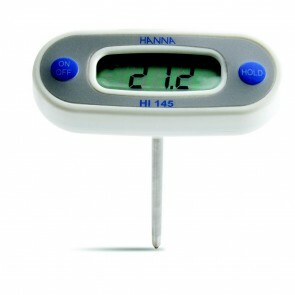 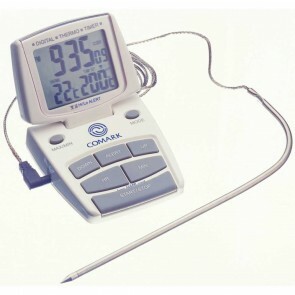 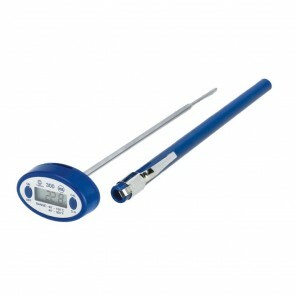 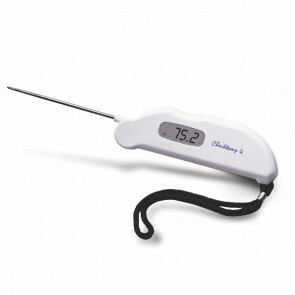 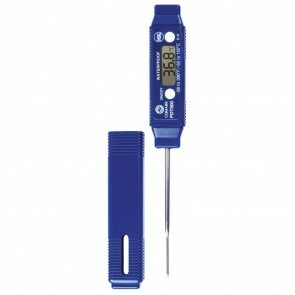 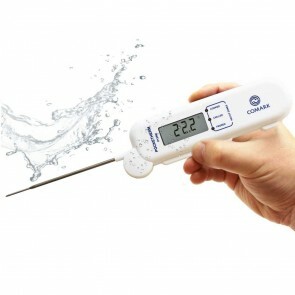 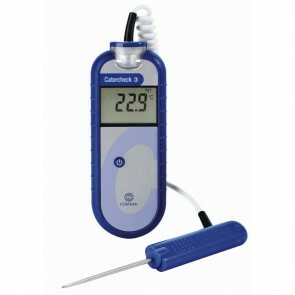 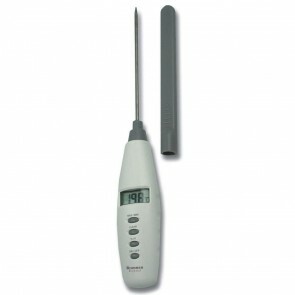 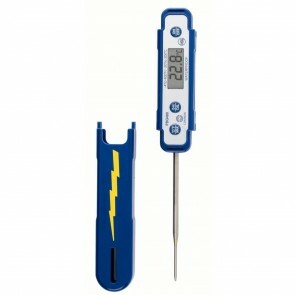 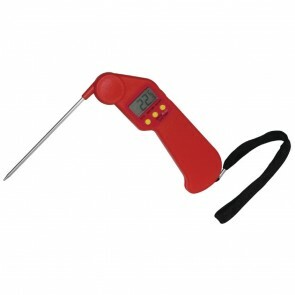 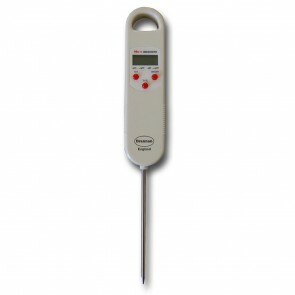 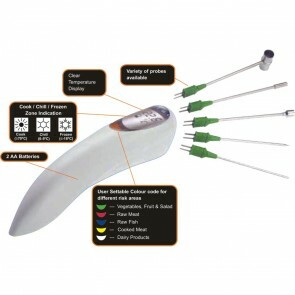 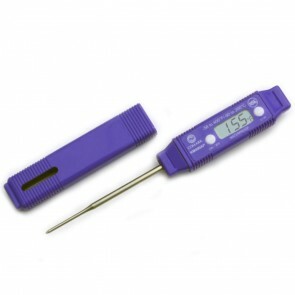 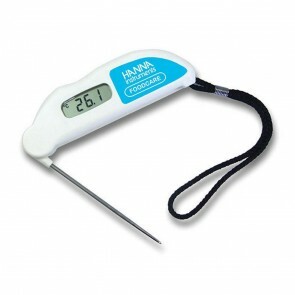 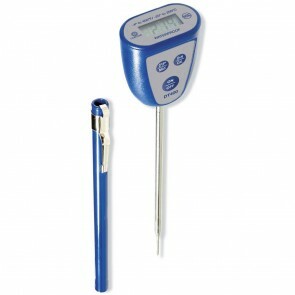 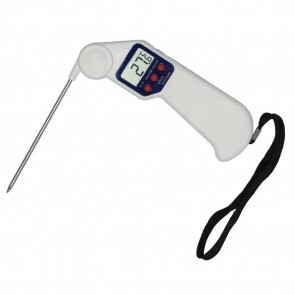 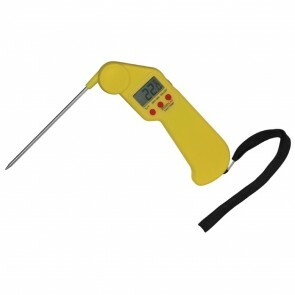 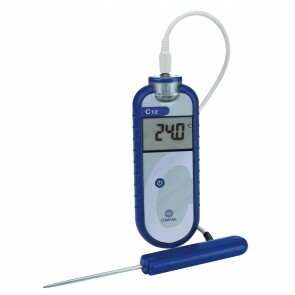 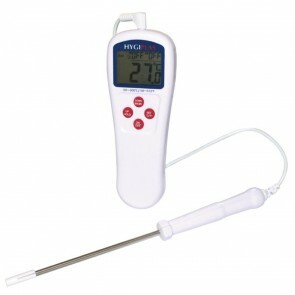 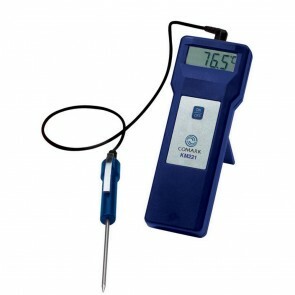 Our range of digital thermometers are designed to measure the temperature of liquids and semi-solids, however many have the very useful option of interchangeable probes to allow the instruments to be used for a variety of applications such as measuring air temperature, food storage monitoring, as well as very specialist uses such food transportation temperature management. 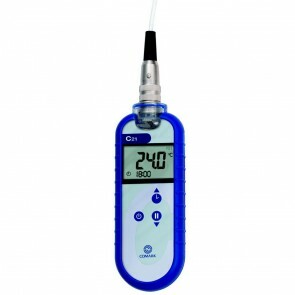 Probes available include; fast response, waterproof, heavy duty, plug, wire air, rigid air, food stimulant, damped sensor, corkscrew and milk dip. 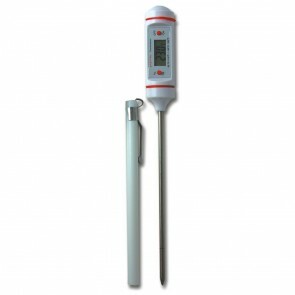 Some of our professional range thermometers can be used with test caps, allowing periodic calibration checks by the user, and all can be supplied with UKAS certification (at extra cost). 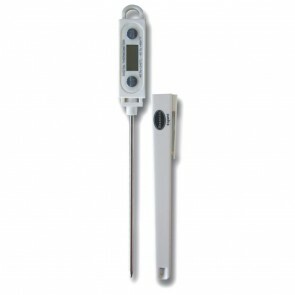 We regularly have special offers on thermometers in this range, so pick up a top quality instrument at a great price today!